The report contains two sections. 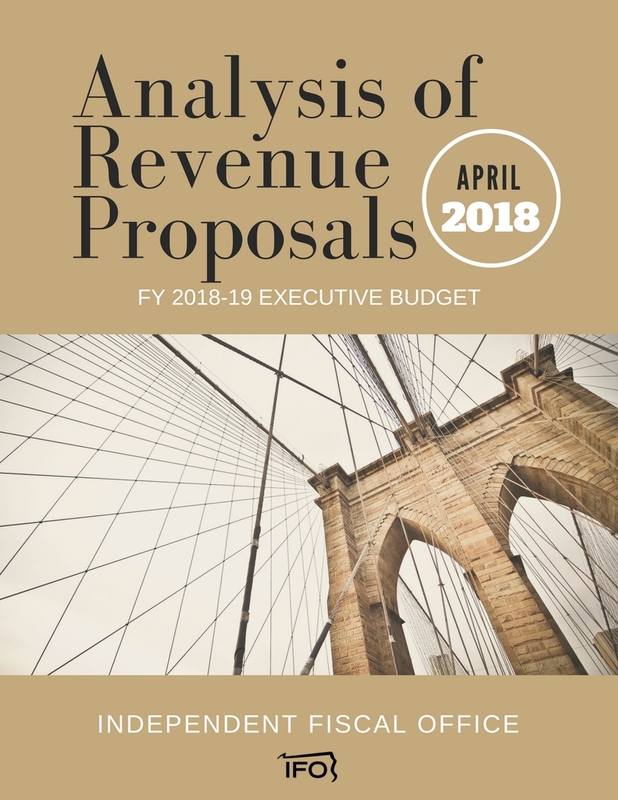 The first section analyzes the tax proposals included in the 2018-19 Executive Budget and the corresponding impact on General Fund revenues over a five-year period. The text includes brief descriptions of the data sources and methodologies used to derive the revenue estimates and provides interstate comparisons or a discussion of tax incidence under proposed tax law. The second section analyzes the proposal to increase the state minimum wage from $7.25 to $12.00 per hour. It discusses potential employment effects, income effects and implications for General Fund revenues. The analyses contained in this report are based on descriptions from the 2018-19 Executive Budget and, when available, technical language provided by the administration. To the extent that parameters for a specific proposal were unavailable, the analyses incorporate reasonable assumptions, which are outlined in the two sections. If enacted, the proposals would not impact revenues for the current fiscal year.